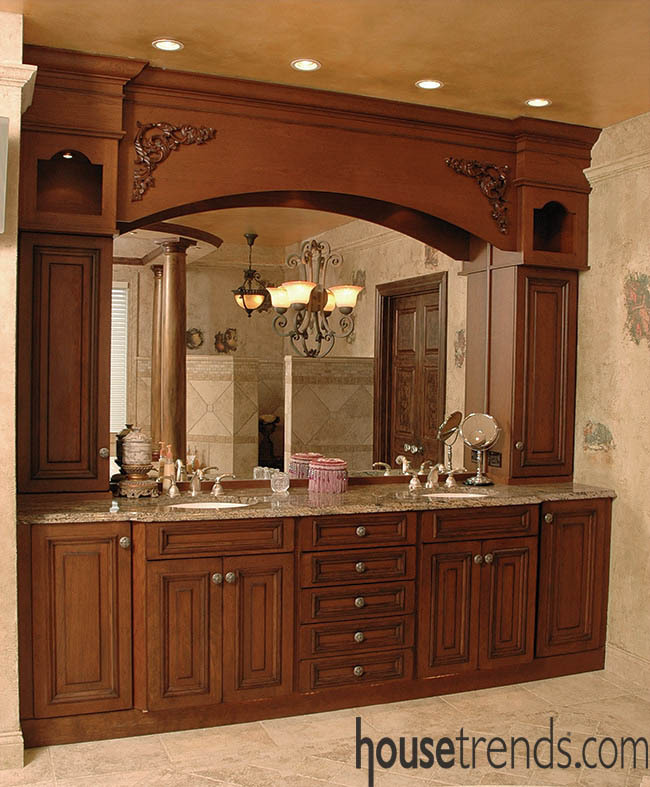 In a bathroom modeled after a Roman design, even the hardware on the cabinetry helps complete the Roman style. Monty Python once asked, “What have the Romans ever done for us?” For starters, the Romans have provided a model for great bathroom design. The beauty and luxury of ancient Roman bathhouses were marked by well-lit, airy rooms with high vaulted ceilings, lovely mosaics and multiple archways flanked by columns. 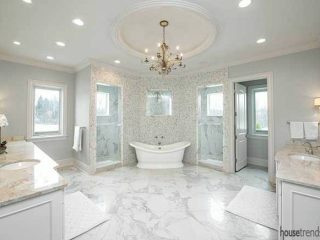 Fashioned after the baths of classical antiquity, the style and magnificence of Roman baths are being adapted in today’s modern homes. 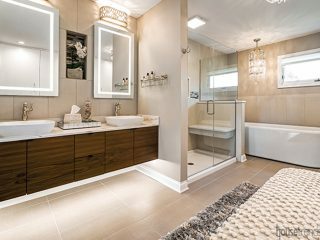 Charlyn Jackson, of Neal’s Design-Remodel, recently had the opportunity to design a Roman-inspired bath for Mark and Michelle Fugate of Hamilton, Ohio. 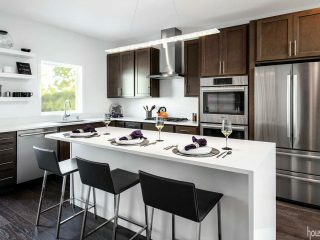 The remodeling project started with a large “generic” square room with a big closet. Part of the closet was removed to open up the area and add space. Mark and Michelle wanted to create a feeling of “fun with elegance,” and had the requirement that columns be incorporated into the room. 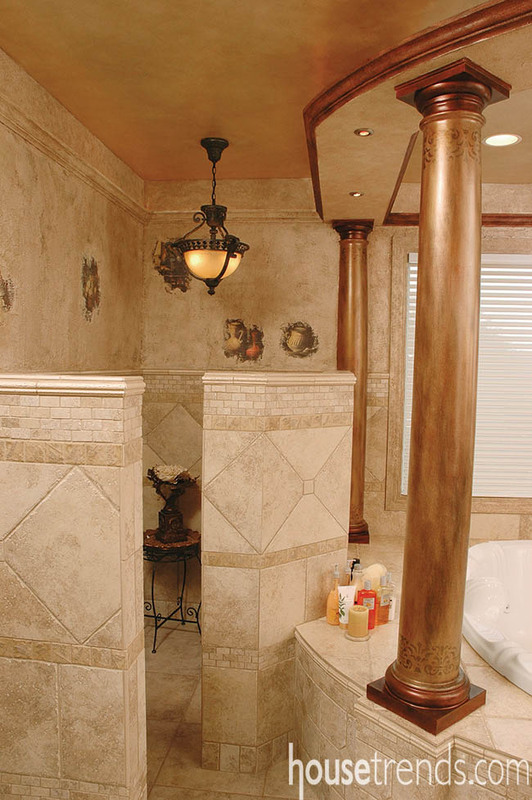 Jackson ran with the column idea and began to develop a design that turned into a Roman bath. To convey a feeling of the Roman bathhouses of olden days, Jackson incorporated ornate fixtures, an arched vanity and intricate designs in the tile. 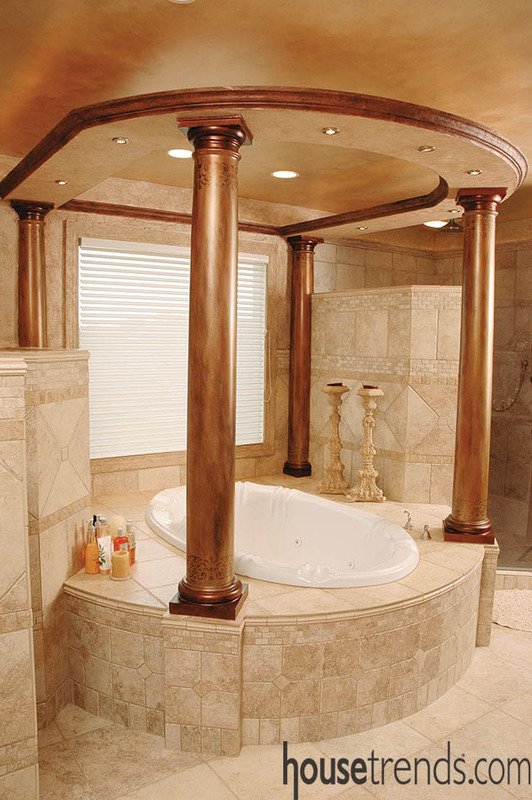 At the focal point is a grand bath surrounded by hand-gilded columns. 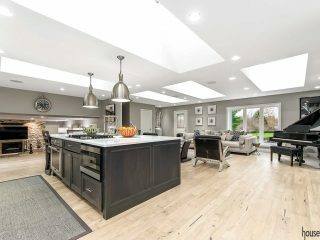 Jackson chose rustic hanging light fixtures to add interest as well as to break up the large ceiling space. 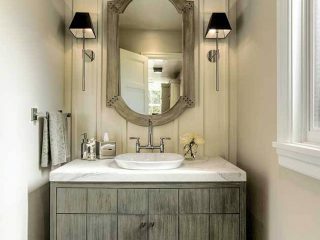 Recessed lighting over the vanity and in the soffit surrounding the tub provides important task lighting to help keep the space functional. 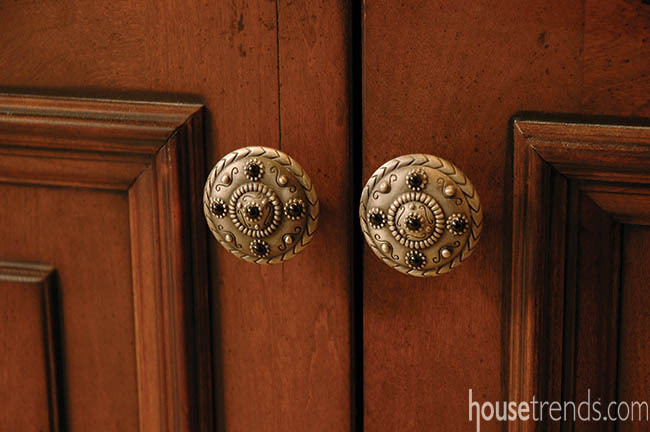 Even the cabinetry's hardware helps complete the room's Roman style. To complete the Roman feel, Michelle worked with a painter to customize the tiles with different Roman-themed illustrations. Inez Buchweitz, owner of Paint and Beyond, worked with the Fugates to complete the feeling of the Roman bath. 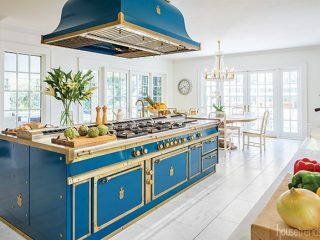 Buchweitz antiqued the doors, ceilings, and columns with a custom-tinted concoction of five metallic glazes. On the walls, she added “breakaway” art. The five-step process was time-consuming but fit in with the classical theme by evoking a feeling that the art was just being discovered and uncovered. First, Buchweitz applied a neutral color for the base coat. 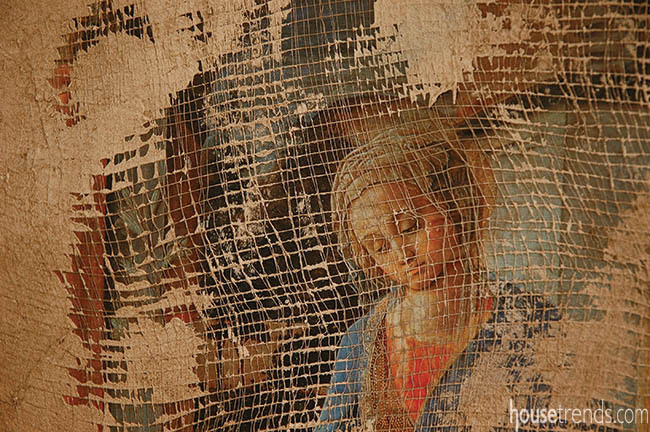 With the input of the homeowners, she chose the Renaissance art, enlarged it and applied a urethane finish. Cheesecloth was then irregularly applied to mimic the wrapping of an old piece of art and coated with the urethane finish. 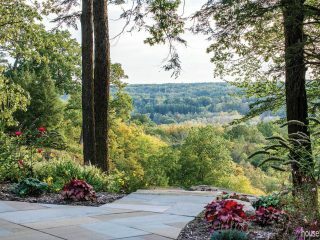 Finally, for the look of real stone, Buchweitz applied with a trowel a crushed stone product she special orders from Italy. 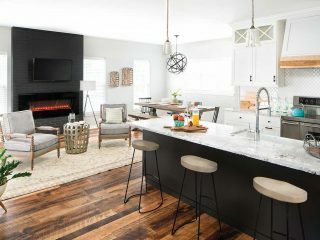 To unify the theme, she spread the crushed stone product onto the woodwork so the wood tones would not seem obtrusive and out of place in the rest of the room. 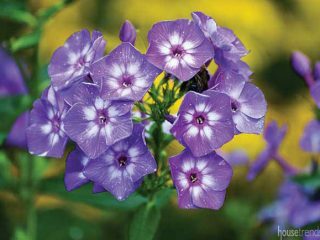 “It’s my value system to make my clients’ homes beautiful. 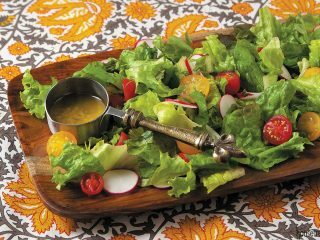 I blended it together for the whole effect of stepping into a Roman bath,” says Buchweitz.